The rest of the world is talking about the international show weeks but let's linger a while longer on our local fashion festivities. You've heard me lamenting the fact that I missed out on this year's Dublin Fashion Festival. Luckily the Fluff and Fripperies roving reporter, Emily, was out and about and she's sharing her highlights below! 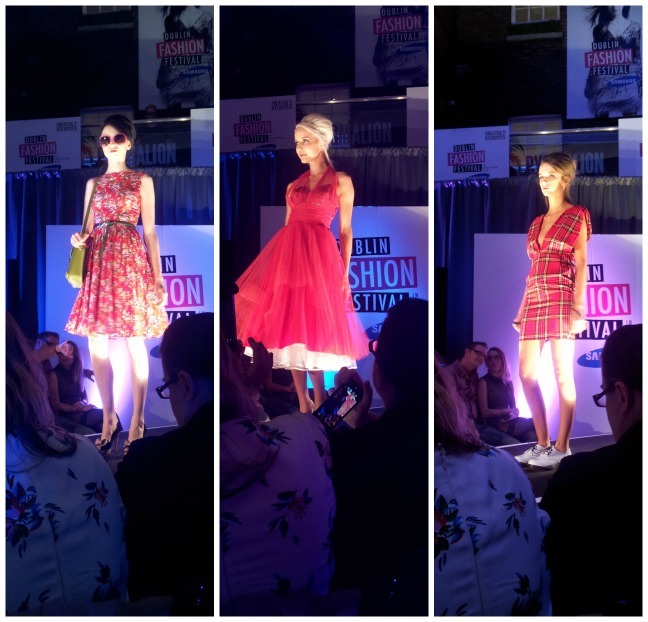 This year was my first foray into the Dublin Fashion Festival. I’ve spotted it around the city in previous years but never really made it out to see what was the happy-haps. Unfortunately this first foray was marred somewhat by a touch of pneumonia so I didn’t get to attend anywhere near the amount of events that were on my to-do list but I did make a couple that were pretty darn great! There was so much happening, from workshops and fashion shows in Brown Thomas to styling with Brendan Courtney in the Jervis shopping centre and plenty in between. 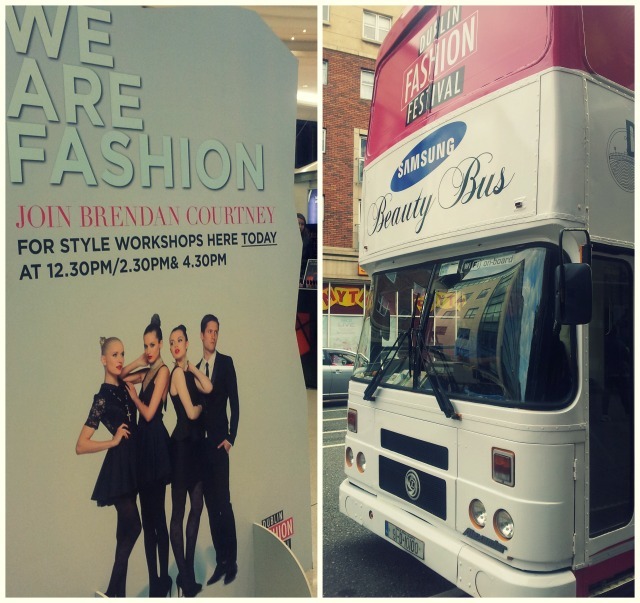 If you were lucky enough to spot it around the city, there was a Samsung Beauty Bus providing treatments (for free!) by the team at LA Creative and handing out goody bags to all who stopped by. The Creative Quarter fashion show was a particular highlight for me. Set up in the Powerscourt Townhouse and hosted by Laura Whitmore, the show delivered on some gorgeous pieces available on Dublin’s doorstep. My heart belongs to the decades past, so the touch of 1950s flare was a welcome surprise for me with offerings from Carousel, Dirty Fabulous and Starla. The festivities ended with a night at the cinema where you could round off your weekend with the classic stylings of Audrey Hepburn in Breakfast at Tiffany’s. If any of you were out and about during the festival I think you’ll agree there was a great buzz about town. Next year I’ll be sure to start taking a multi-vitamin weeks in advance so I’m fighting fit to take in the events! Looks such a fantastic event! Loved the tartan outfits at the creative quarter fashion show! The hairstyles were lovely too! The middle photo, what name was that?! It looks amazing!! That red dress is stunning isn't it? It's from Dirty Fabulous. It looks like awesome FUN! I wish I could've gone. Very nice. It looks like it was great craic, lovely to get an insight into it, fair play to you Emily! That tartan dress is amaze!! I just got back from a trip that included Scotland, so I am into tartan anything right now. Oh my god that looks like it was amazing! Seriously that 50s red dress, I need that!! Wish to be' there !